Rich answers are one of the biggest trends in relation to search engine optimization. As long as you type questions into Google, there’s a good chance you’ve seen them already. In this blog, we’ll explain what rich answers are, how you can take advantage of them, and what consequences they’ll bring regarding SEO. Google provides rich answers for questions that have clear and indisputable answers. For example, if you ask: “who has the most Olympic medals of all time,” Google will provide a list of top athletes, beginning with Michael Phelps, as well as a link to the relevant Wikipedia page. This is potentially a great way to get your site featured on Google. 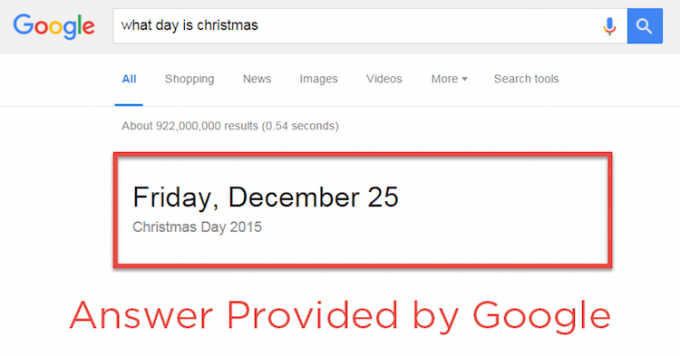 If you do, then Google will position your site as the top source for the related question. If this sounds too hard, then you should aim for an easier goal. After all, optimizing your site for search engines is a pretty much a prerequisite in this respect. Unlike Google’s search engine results pages, there’s just one site that gets featured with rich answers. To get the spot, you’ll have to do everything perfectly. Otherwise, Google will just find another site with an answer. To talk more about search engine optimization, rich answers, or anything else, contact us today.